Do your research before picking a college to earn your bachelor’s degree in education. Check out the undergraduate education school rankings by salary. Education is often regarded as one of the most rewarding professional fields, but – unfortunately – it certainly isn’t one of the highest paid. 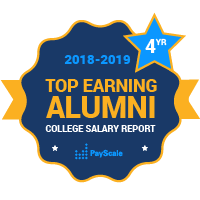 Soften the financial blow of pursuing your dream career in education by using the alumni salary data from the colleges and universities included in PayScale’s College Salary Report. Make a smart financial decision when you join the ranks of famous teachers like Aristotle, Albert Einstein, and Maryam Mirzakhani. Though your aspirations may be noble, it doesn’t make a lot of sense to saddle yourself with mountains of student loan debt if you are going into a field that typically doesn’t pay a high salary.